Click here to see all the winners! 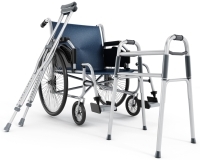 We Loan Out Medical & Mobility Equipment! People are surprised to hear that we loan out medical and mobility equipment for free to anyone in our community. A total of $5,000 in cash prizes will be given out throughout the year. Money raised will help the club support worthwhile community initiatives, groups, sport organizations and events. The Lions Club of Russell wishes to thank all of the businesses and community groups who appear in the calendar. Thanks to their support, this annual fundraiser is the success it is. 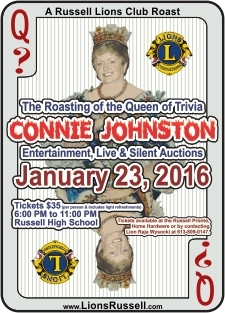 ©2004–2016 Lions Club of Russell, Ontario. All rights reserved.